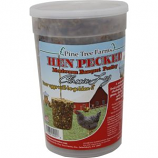 Pine Tree Farms has been manufacturing quality wild bird feeding products since 1984.They have been making quality wild bird food products to attract your favorite backyard feathered friends. • Contains 12- 11.75 Ounce Nutty Butter Suets. • Pine Tree Farms Finch Ball Is A Great Way To Attract Finches To Your Back Yard. • Finch Bells Are Packaged With A Colorful Net That Is Ready To Hang On Trees and Shrubs. • Top Quality Seed Is Used In This Product. • Place Finch Bell In The Supplied Net and Hang From Tree Or Shrub. • These Feeders Are Especially Designed For Wild Birds Suet Cakes. • All Wire Is Vinyl Coated. 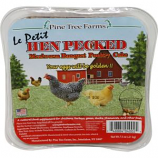 • Holds Large Suet and Seed Cake. • Great Source Of High Energy To Your Backyard Birds, With Package Contents That May Be Utilized For Nesting Material. • A Great Gift Idea. • Comes With Self Hanging Cord. 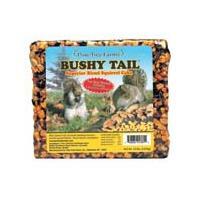 • This Blend Provides Squirrels and Other Wildlife With A High Energy Level and Nutritional Diet. • Finch Food, Feed Year Round. • Place Finch Seed Cake Into Feeder and Hang At Least 5 Feet Off Ground. • For All Bird Species. • Feed Year Round, Attracts A Variety Of Birds and Is A Great Source Of Energy. • Place Seed Cake Into Feeder and Hang At Least 5 Feet Off Ground. • Pine Tree Farm S Seed Bells Are A Great Way To Attract Birds Into Your Yard. • Seed Bells Are Packaged With Colorful Net That Is Ready To Hang On Trees and Shrubs. • Top Quality Peanuts Seed and Grain Are Used In These Bells. • Pine Tree Farms Seed Bells Are A Great Way To Attract More Birds Into Your Yard. A natural food supplement for chickens turkeys geese ducks pheasants and other fowl. . . . .
12 Pack Includes 4 Of Each: Nutty Butter, Hi-Energy, and Berry Essence Suet Cakes.